I am a Type 2 Diabetic, do you know what bread is to a diabetic? Sugar, and to someone like me who loves bread high levels of sugar is like a poison. So when I read about the woman of faith in the scripture above it suddenly hit a familiar cord with me. While I don’t need bread in my food diet I certainly need at least a “bread crumb of faith” (since Jesus is the Bread of Life) in my spiritual diet. 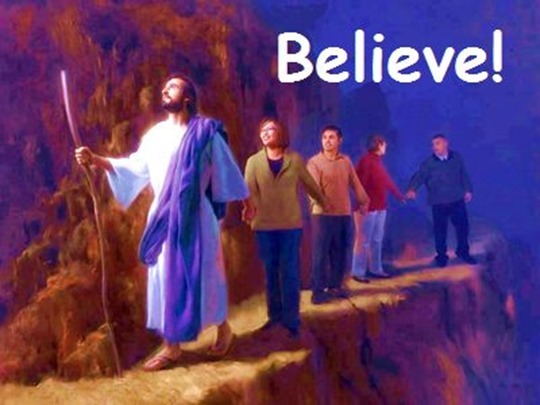 Faith is the bedrock of life and what is just as important is in what or whom do we place our faith in. The story of the Cannanite woman is not only a powerful illustration of the unlimited power of faith in action but also how much faith one really needs to have. I believe there are times when we confuse faith for belief. When we exercise our belief in God the Holy Spirit is able to transform our belief into faith. When the woman mentioned that dogs eat the crumbs that fall from the table she was really saying, “Jesus, I believe in you.” And the Holy Spirit transformed her belief into faith. Scripture quotations marked HCSB are taken from the Holman Christian Standard Bible®, Copyright © 1999, 2000, 2002, 2003, 2009 by Holman Bible Publishers. Used by permission. Holman Christian Standard Bible®, Holman CSB®, and HCSB® are federally registered trademarks of Holman Bible Publishers.